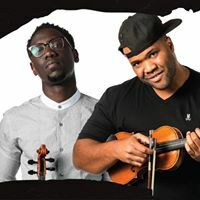 By Bryan Sidelinger- Black Violin, a group centered around two men mixing classical music with hip hop on a a viola and a violin, are coming to the Gracie Theater. Black Violin is composed of Kev Marcus (aka Kevin Sylvester) and Wil B (Wilner Baptiste), two classically trained string instrumentalists who met in high school 20 years ago in Miami. Bangor is the 9th stop on the “I.M. Possible” tour, a twenty-seven date tour, spanning 25 cities over three months, from early March thru Early June. 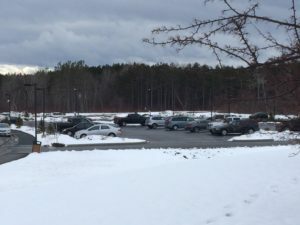 Bangor’s is the only tour date in Maine, and is only one of three places in New England the group will play on the tour, along with Boston and Providence, Rhode Island. Black Violin breaks all the rules, blending the classical with the modern to create something rare- a sound that nobody has ever heard, but that everybody wants to feel. They’ve shared stages with top names including Kanye West, Aerosmith and Tom Petty, and has creatively collaborated with the likes of Wu-Tang Clan, Wyclef Jean and Alicia Keys, and have also played for President Obama. It’s a very good get for Husson and the Gracie Theater.